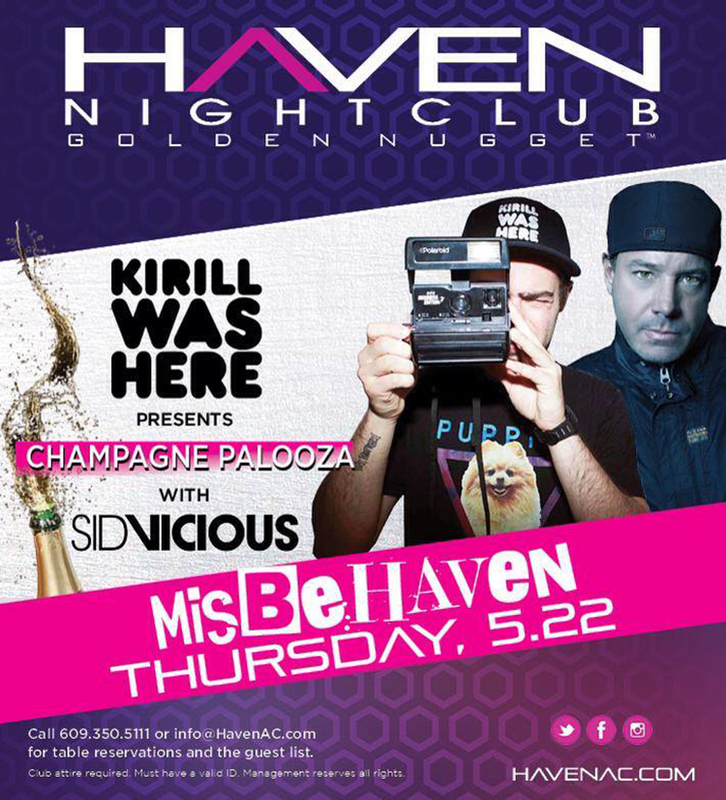 Tonight, Haven Nightclub at the Golden Nugget in Atlantic City, New Jersey will be kicking off their 1 year anniversary as well as Memorial Day Weekend with a special Champagne Palooza! Every Thursday is their MisBeHAVEN Thursdays and this one is special! First off, on the decks is Sid Vicious as well as Sean Perry! You know that the music is going to be crazy because they kill it. Do you expect anything else from SKAM artists no? On top of that, they have the one and old Kirill Bichutsky who people know him better as KirillWasHere. You can expect plenty of Champagne Facials as Kirill and Haven will be giving out $1,000 to the girl with the best Champagne Facial! I have been there before when they do this and will be there tonight. I promise you that it gets out of hand quickly and it is tons of fun! Don’t believe me, check out Kirill’s not safe for work photos from Haven! Check it out tonight! Find me! Goal for tonight: Get a photo with Kirill (and possibly a hat…sucker for them)! Also, check them out for the rest of Memorial Day Weekend!